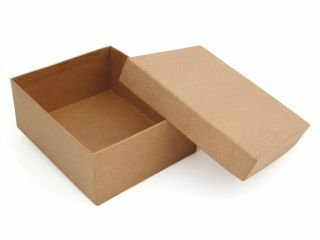 Stop the unboxing posts madness! Apple's latest iPhone is not just out: it's in your hand. You take it home, carefully open the packaging and there it is, glistening in all its gadgety glory. What now? Do you (a) start playing with it immediately? Or (b) drop your trousers and rub yourself against the cardboard box for a few hours? Boxes are many things. They're the rubbish that sits in your garden for weeks because the council won't pick up cardboard and you keep forgetting to go to the recycling point. They're hilarious toys for toddlers or dogs. They're handy for storing all the crap you've got kicking about that you don't use any more. What they're not, ever, is interesting. So where the hell does the phenomenon of unboxing come from? It's everywhere. Boy Genius Report is doing it with the Palm Pre. Engadget does it with pretty much everything. And people read it. Of course they do, or the sites wouldn't post it. Let's look at this phenomenon in detail: BGR's unboxing of the Palm Pre. There are seven images. The quality is reasonable, although a bit of colour correction would have been nice. So what do we have? Photo one shows a top view of the box. Photo two shows the top of the box and the bottom of the box. Photo three shows the small print on the box. It's small print! On a box! Photo four shows the sticky label and barcode. It's a sticky label! On a box! Photo five: manuals, and the other things inside the box. It's the stuff inside the box! And finally, do we get a shot of what's actually in the box? A shot of, you know, the actual gadget? No. We get the box. There are 36 comments on the story. Only a few of them say "it's a box!" We don't get it. It's like having Angelina Jolie or Brad Pitt come to your house and do their sexiest striptease, only for you to give their shoes a good tonguing when they're finally in the buff. Of course there are people into that kind of thing, but their websites are of the, ahem, specialist variety. Unboxing is everywhere. It's big. It's mainstream. It's socially acceptable.